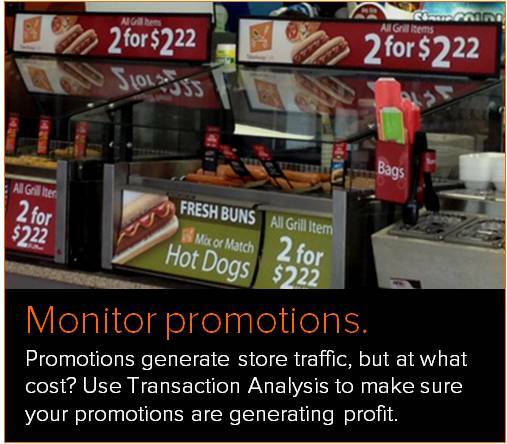 How Profitable Are Your Promotions? 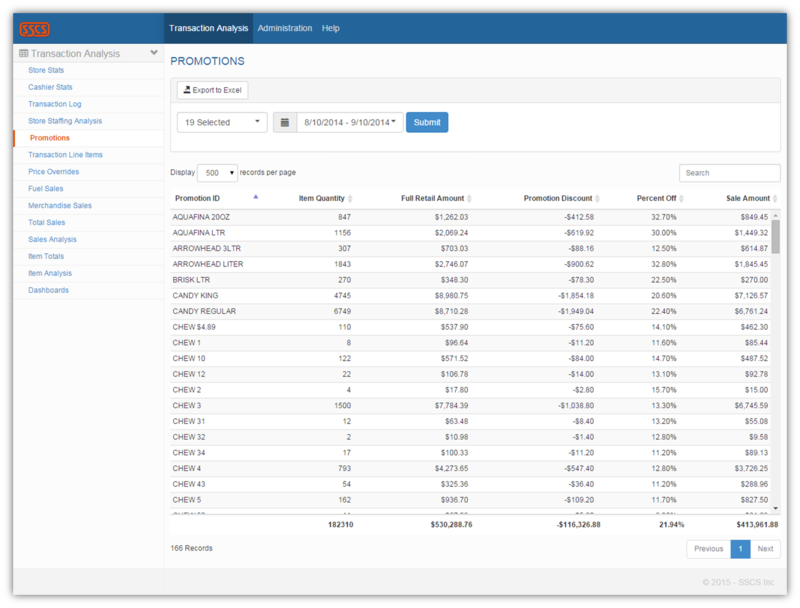 A sortable table of all promotions going through your POS for any timeframe. The quantity of each type of promoted item that has been sold. The full retail amount of what you would have received with no discount. The total dollar amount discounted for each type of item. The percent discount offered for each item type. The sale amount you received for each type of promoted item. Totals for all these categories for the timeframe that you've analyzed. The sample Promotions Report below displays promotion activity at 19 sites for a timeframe of one month. With this information at their fingertips, Transaction Analysis users are able to make much more astute decisions about which promotions to continue and discontinue.